You may have heard the term same-day loans or payday loans. These are same as small cash loan at loanbaba.com. Here an amount of INR 10K to 50K can be borrowed, wherein you will receive the loan amount the same day you apply for the loan. Application for the loans happens online. You just have to meet few basic criteria to get the money in your bank account. Compared to traditional bank loans, it is quite evident that an instant cash loan is disbursed much faster, and safely reaches bank account in no time. Despite of innumerable advantages of small cash loans, many find it difficult to trust this type of loan system, as the benefits sound too good to be true. But, believe it or not, a small cash loan is trustworthy way to get out of an immediate financial mess. Why You Can Trust Instant Cash Loan for Financial Emergencies? 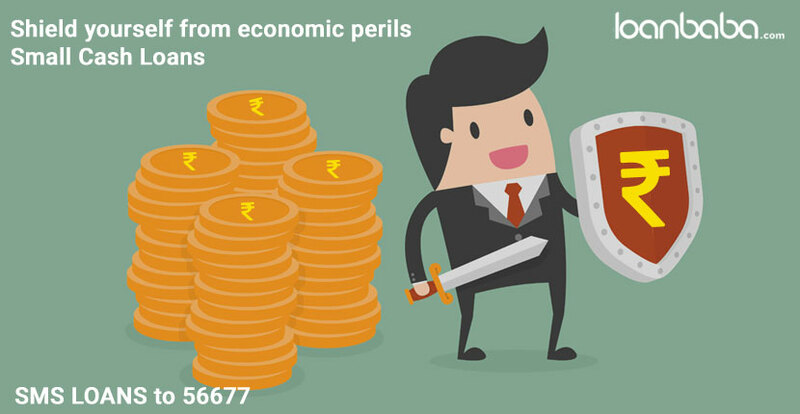 We at loanbaba.com understand that people may encounter economic hurdles at times, when sufficient cash is unavailable, and arranging for sudden money is impossible from bank or other sources. This is why; we have taken the initiative of providing fast cash for salaried individuals, whenever they want, and that too in the amount is credited within 24 hours. Same-day loan is the best risk-free option to meet financial requirements. You get the money for personal use or to pay for any expenses you desire. You do not have to provide a security against payday loan, thus none of your economic assets are disturbed. A small cash loan is like advance cash or a fast cash phenomenon, where the money is credited in few hours without requiring you to visit a bank. The EMI scheme is such that you can pay back without stress, and comfortably manage the repayment. No hefty costs or fees involved other than what you are required to repay. Research about the lender, and read essential information along with the loan agreement before taking an urgent loan. Scammers mostly include clauses in the loan agreement, which may seem to benefit you, but would indicate otherwise. Stay away from local lenders who are not registered on recognized platforms for offering same-day loans. Be cautious if the lender is asking you to produce a huge security against the payday loan. Check the interest rate on the loan, and compare it with those on loanbaba.com, which offers the lowest interest rate for small cash loans. Previous story How Does a Small Cash Loan Overthrow Debt Crisis?